Is your shop ready to make the jump to Waterborne paint? Waterborne paint is a low VOC content paint developed as an alternative to traditional solvent based paints. There are many reasons that shops have moved from solvent to waterborne, among them are environmental and health concerns from the use of solvent based paints. Other benefits of switching to waterborne include thinner pigments with higher opacity, more accurate mixing, easier blending and less hazardous waste. So if you are considering making a switch, then what are you waiting for? Are you concerned that your paint booth can’t handle the drying demands of waterborne painting? Flashing and curing can be attained in your existing paint booth regardless of who manufactured it, however, it just may take a bit longer than what you are used to with solvent paints. Garmat standard models provide the controlled environment with the right amount of air flow to flash and cure waterborne paint. Even it you are not quite ready for new booth, we offer a full line of waterborne retro fit accessories – from our patented Accele-cure to our line of blowers. All accessories can be retrofitted to most brands of booths and get get you set up to make the switch to waterborne painting. 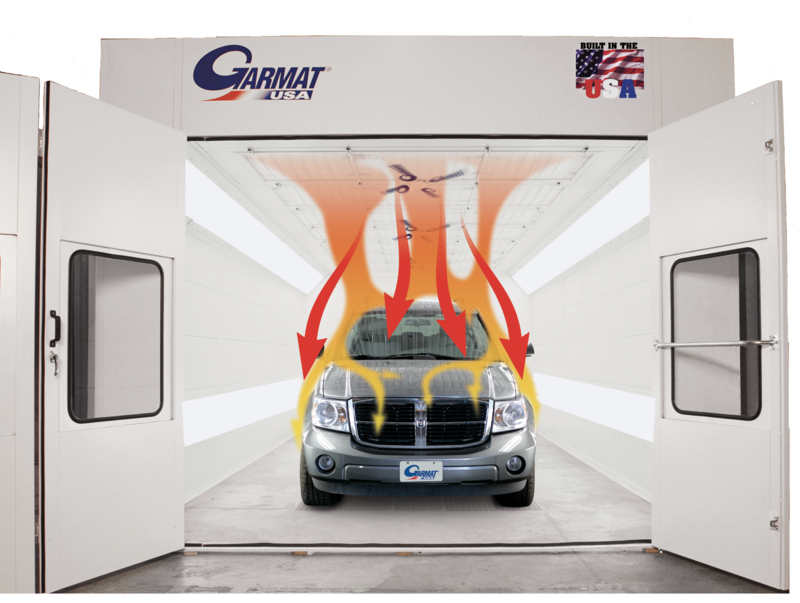 Sometimes the best solution is the simplest- the brilliance of Garmat® USA’s Accele-Cure™ Accelerated Drying System. Garmat® USA offers solutions to take your production to the next level. 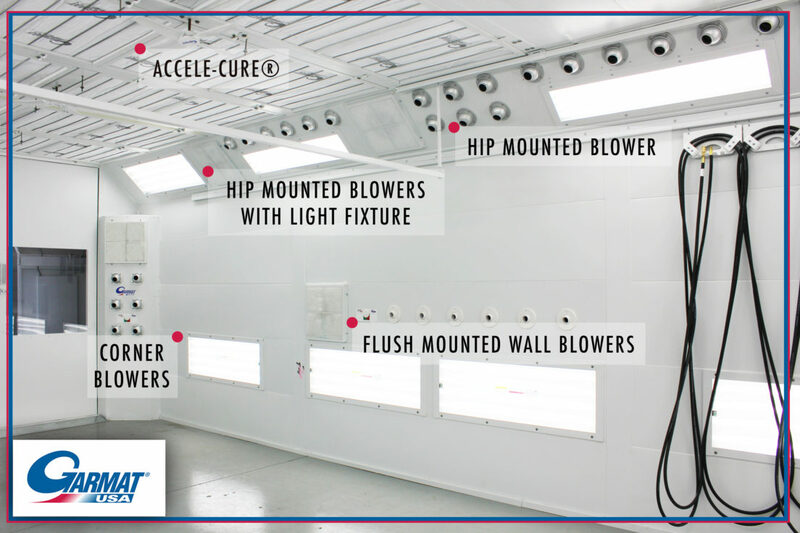 Make your paint spray booth waterborne ready with our air acceleration systems. Available for new paint booth installation or retrofit to existing equipment.